The world of accounting and finance has its own set of terminology, lingo and acronyms. One of the most common is the acronym EBITDA, which stands for Earnings Before Interest, Taxes, Depreciation and Amortization. EBITDAM is a variation that brings multiple benefits. EBITDA is an important earnings gauge because it removes the effects of financing and accounting decisions, which can vary considerably from one company to the next. This makes it a good way to compare the profitability of different companies and industries. EBITDA is especially useful for helping acquirers make accurate comparisons when they’re considering several different business acquisition candidates. With EBITDA, it’s important to remember another acronym: GIGO, or Garbage In, Garbage Out. Your final EBITDA results will be useless if you don’t use accurate numbers in your calculations. One of the most common mistakes that many owners looking to sell their businesses make when determining EBITDA is failing to recast revenue and earnings to reflect the business’ true profitability. This requires adjusting revenue and earnings to account for personal expenses you may be running through the company that wouldn’t occur under new ownership. Since these items will no longer be expensed by new owners, they must be removed from EBITDA calculations in order to show potential acquirers the true profitability of your company. The new calculation is sometimes referred to as EBITDAM, with the M referring to Management excesses. The EBITDA for ABC manufacturing company is $1.5 million, and the company is valued at an earnings multiple of 5x, giving it a valuation of $7.5 million. But the owner is running $350,000 worth of personal expenses like those listed above through the business and deducting them in order to reduce taxes. Factoring this into the equation would result in EBITDAM of $1.85 million. If the company were valued at the same earnings multiple of 5x, its valuation after calculating EBITDAM would rise from $7.5 million to $9.25 million. Failing to adjust revenue and earnings to account for personal expenses being run through the business could cost this owner $1.75 million. That’s an expensive accounting mistake! A common acronym used in finance and accounting is EBITDA, which reveals a business’ net income with interest, taxes, depreciation and amortization added back. Owners planning to sell their businesses need to adjust revenue and earnings to account for personal expenses they may be running through the company by performing a new calculation referred to as EBITDAM. Not doing so can result in sellers leaving significant money on the table. 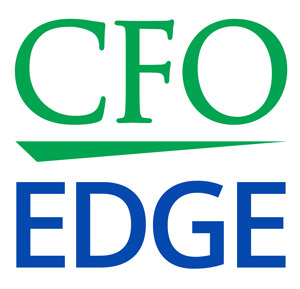 An outsourced CFO services provider can help you figure your business’ EBITDAM, thus maximizing the business’ value and selling price.